Stagg cymbal players test day at Footes drum shop in London UK. 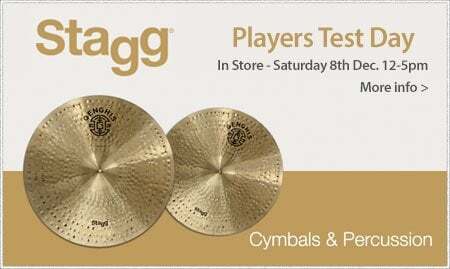 Join us in store on Saturday 8th December, 12pm to 5pm for 'Stagg Players Test Day'. TD-08R Practice pad + pair of Stagg SM7A sticks ONLY £12 on the day with FREE 10 minute starter lesson.